Cover up when sneezing. 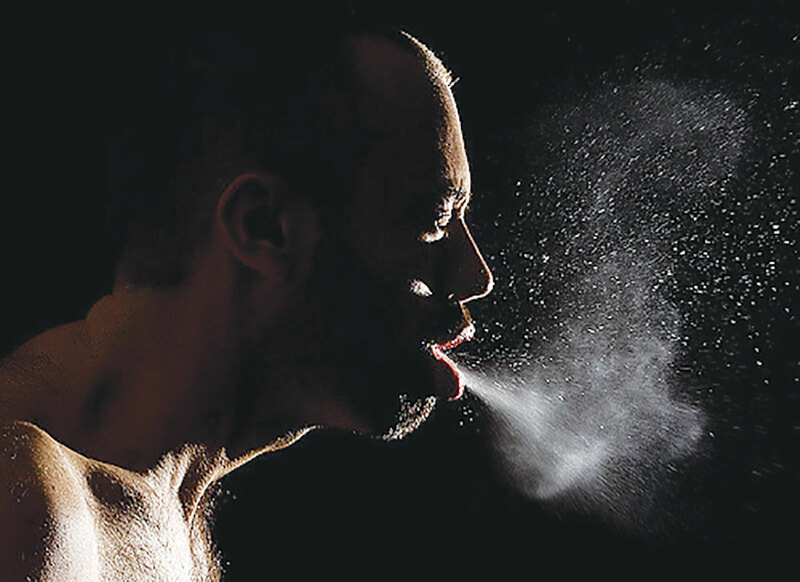 The flu is transmitted from person to person through the air in small aerosolized droplets and can spread when an infected person talking, coughing and sneezing. Happy New Year to everyone and may this be your most happy, productive, and healthiest year. Some of us must get to work on taking better care of ourselves. The Centers for Disease Control and Prevention (CDC-P) has notified the public that there is an increased activity or spreading of the flu. Researchers and public health experts have identified influenza A as the primary culprit. This is very important as in past years influenza A has been associated with more deaths and hospitalizations in people ages 62 and older and in young children. This year’s influenza A vaccine is thought to be only 32 percent effective. This has prompted some people to ask why get it. The fact is that if it is effective for you and especially if you are in a high risk group it still may save your life. The vaccine may also prevent you from transmitting this flu to someone who is at high risk. Who is considered to be at high risk? The CDC lists them as: Those with severe, complicated, or progressive illnesses such as heart disease, lung disease, asthma, diabetes, kidney disease, HIV, liver disease, Sickle Cell disease, disorders of the brain, spinal cord, or muscles, cerebral palsy, epilepsy, cancer. Children under the age of two years or people 65 years and older, as well as people younger than 19 years, who are receiving long-term aspirin therapy, are also at high risk. Others at risk include: Native Americans and Alaska natives, women who are pregnant or within two weeks of having a baby, people with suppressed immune systems such as HIV or cancer, extremely obese people, those living in long-term care facilities such as nursing homes, group homes or extended care facilities. If you develop signs and symptoms of the flu you should seek medical care promptly. Medications that are used to fight the flu may decrease the severity and or length of the illness. They work best when given as soon as symptoms are present, generally within 48 hours of onset. The typical signs of the flu are an acute fever with muscle aches, fatigue, headache, sore throat, nonproductive cough and nasal discharge. The fever usually ranges from 100 to 104. It is higher in children. Older adults may have loss of appetite, with dizziness and sometimes not have a fever. Remember the flu is transmitted through the air in small aerosolized droplets from people who spread it by talking, coughing and sneezing. The incubation period is usually one to four days with an average of two days. In studies where healthy individuals were exposed to people who had the flu, the transmittal rate was 25 percent. Of course if you are in any of the aforementioned high risk groups that transmittal rate would increase. Take care of yourself. It is not too late to get the flu shot. If you do get sick, seek medical care sooner than later. Let’s decrease the death rate from the flu this season.